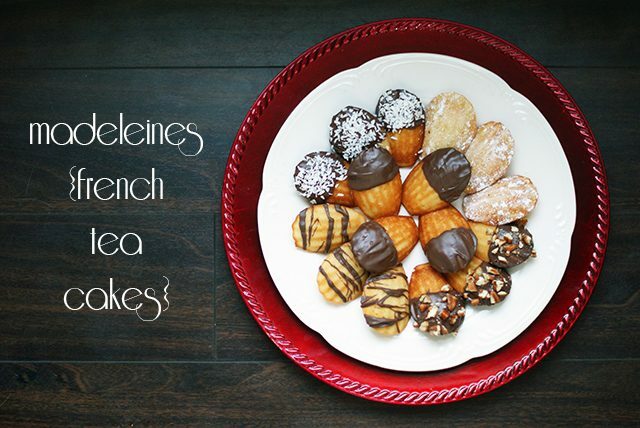 Madeleines, or French tea cakes, are really more cake than cookie, although we tend to think of them as a cookie anyway. 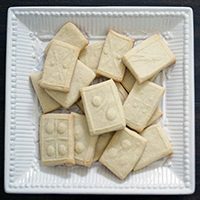 These light and fluffy sponge cakes are baked in a shell-shaped pan to give them their distinctive shape, and they can be made with a variety of flavored extracts or decorations for a fun addition to your cookie collection. I’ve seen madeleines referred to as tricky to make, but following the King Arthur recipe, I thought they were simple and easy. (And that’s saying something coming from me!) 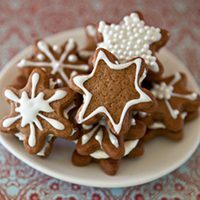 They’re also elegant and perfect for serving at a Christmas brunch or as a treat in a coffee or tea gift basket. In a small saucepan, melt the butter and then remove from heat and allow to cool to room temperature. In a medium bowl, beat the sugar, eggs and salt until they’re light yellow and very thick. Stir in the vanilla. Alternately fold in the flour and melted butter, being gentle to help the batter keep as much volume as possible. Refrigerate the batter for 30-45 minutes until it’s thick. While you wait, preheat your oven to 375 degrees F and lightly grease your madeleine pan. Scoop a slightly rounded tablespoon of batter into each well of the pan. Put the remaining batter back in the refrigerator. Bake for 7-8 minutes, until they’re light brown at the edges. Let cool in the pan for several minutes before transferring to a rack. Dust with a light coating of confectioners’ sugar. Or melt chocolate in a small saucepan over low heat and carefully dip one end of each madeleine in the chocolate. Sprinkle with coconut or nuts and set on parchment paper to harden. Store madeleines in an airtight container, although they’re best when eaten fresh! 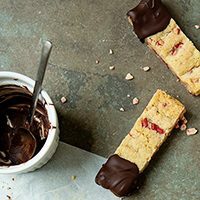 Use a different flavored extract, such as almond or fiori de sicilia. Use lemon or orange extract and add zest from the same fruit to the batter. Mix chocolate shavings into the batter. 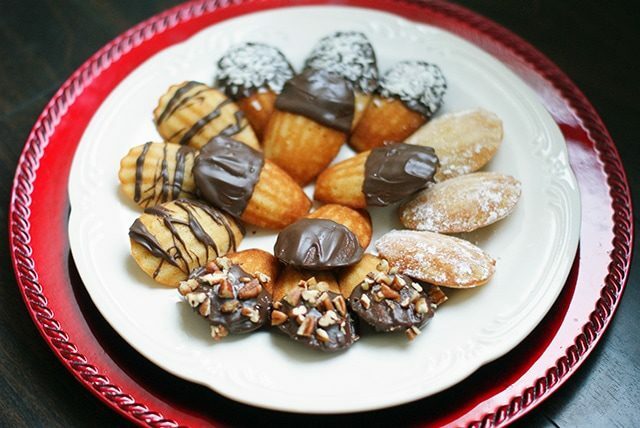 Discover even more variations in the We Love Madeleines cookbook!